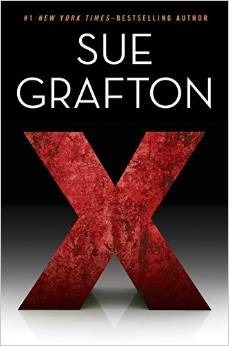 X by Sue Grafton is the 24th book in the alphabet series that Grafton started writing in 1982. In X, private investigator, Kinsey Millhone, juggles three investigations. First, Kinsey is working through the files of her deceased fellow private investigator, Pete Wolinsky. He left a coded list of 6 female names. They are all related, but how? Second, Kinsey is hired to find a newly released convict. And third, Kinsey investigates the suspicious actions of her elderly neighbors who aren’t the upstanding citizens that they try to project. Usually the titles of Grafton’s alphabet books are more than just a letter. For example, the first book was A is for Alibi. I’m not sure what the X stands for unless it is for two of the characters whose last name is Xanakis. I wonder if Grafton will have longer titles for novels, Y and Z. As I mentioned in an earlier review, I have heard that the last title will be Z is for Zero. I enjoy the Kinsey Millhone novels. Some novels more than others. This novel was set in 1989. All of the novels have been set in the 1980s. It will be interesting to see if the novels move to the 1990’s before the series ends. This collection of essays brings together North American and Israeli literary scholars to look at the diverse religious streams that run through early modern English literature. Though the volume deals predominantly with the major Protestant literary figures of the era – Shakespeare, Milton, Herbert, etc. – the influences of Judaism, minority Catholic culture, and proto-feminist figures are explored in depth. This book is very helpful in the way that is draws out the crucial role that minority cultures played in shaping a literary culture that could otherwise appear to be uniformly Protestant. You could categorize this book as philosophical theology, theological metaphysics, or some other combination of the disciplines. Whatever you call it, it deals with the way philosophy and theology relate to one another. 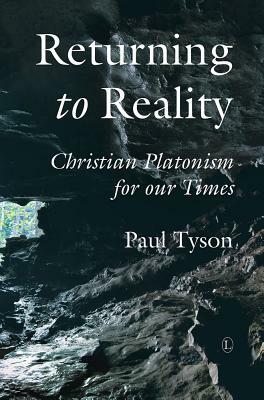 Specifically, Tyson argues that the philosophical viewpoint of modernity (largely based on scientific assumptions) does not offer a sufficient explanation of the world in which we live. He argues instead that the ancient tradition of Platonism, especially as it has been appropriated by the Christian tradition, provides a more effective explanation of reality as a whole. The book is a bit more technical than necessary at points, but Tyson argues his case well. A longer review of this book will also appear in the publication Theological Book Review. I can’t even tell you how long I’ve had this book on my to-read list but I finally got around to reading it and I’m so glad I did. American Salvage is a fabulous collection of short stories. The majority of the stories take place in Michigan (which is where I was raised). While the location of these stories appealed to me, it was the language and the storytelling ability of Campbell that drew me in. I really couldn’t get enough. At the end of each story I sat back and reflected a bit before moving on to the next one. I can’t wait to read more of her work! Education · Graphic Novel · In the Library · Julia P · Libraries! · Non-Fiction · Quick Read! This graphic novel takes a different approach to making information literacy approachable. As a librarian, it seems like as soon as you say the words “information literacy” students immediately start to tune out. You have to admit, it doesn’t sound exciting. But being information literate is SO important. Not just in the academic world, but in life. I read this book in preparation for a research class I’ll be teaching. I wanted to see if there might be some more engaging ways to convey aspects of information literacy to students. I definitely picked up some examples for how I could phrase things that might be a little more straight-forward, but overall I came away from the book feeling confident that I was pretty spot on with how I typically teach the concepts. That being said, I think this would be a great text to offer to incoming college freshmen who are looking to understand and acquire information literacy skills. The graphic novel format and the conversational language make it accessible. Plus, each chapter ends with questions that have the reader apply what they’ve just learned in a way that builds as the book goes on. I recently listened to a conversation with Bruce Eric Kaplan on a comedy podcast. I really enjoyed his dry sense of humor and his thoughtful, deliberate reflections on his childhood, parenting, and art. Kaplan is a TV writer who has worked on a diverse set of shows, including Seinfeld, Six Feet Under, and the current HBO series Girls. More relevant to the memoir he has written, however, are his cartoons, which are frequently featured in The New Yorker. The story he goes on to tell through words and drawings depicts the eccentricities of his parents, the dynamics of his neighborhood, and above all, the TV shows and movies that he loved as a kid. Memories, such as seeing his dad’s comb-over flap in the wind, fighting with his brothers for the good living room chair, and daily TV schedules are delivered with very little embellishment. They are recounted starkly, simply offering a reminder of how strange the world can seem to a child. 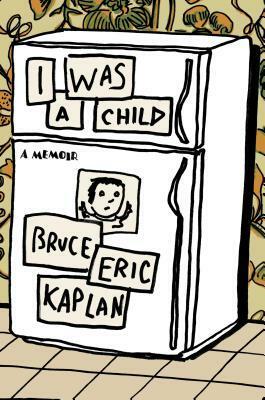 Kaplan’s book really captures something humorous about the limited perspective of childhood. As he told stories about his parents, I found myself constantly thinking about how odd my own behavior must look to my kids. Kaplan’s sparse drawings are hilarious, and they perfectly compliment his unadorned prose. I’m definitely planning to check out some of his collections of cartoons. Andrew S · Art · Biography · Graphic Novel · History · In the Library · Non-Fiction · Quick Read! This graphic novel covers the final and most productive few years in the life of Vincent van Gogh. It depicts van Gogh in the countryside of Arles in southern France, frantically producing landscapes and trying to start an artist’s commune with Paul Gauguin. Unable to sell his work, van Gogh is supported financially and emotionally by his brother during this period, and Stok gives us a window into this patron/artist relationship through the letters they exchanged. Stok’s artwork is simply rendered, and the colors are vibrant. She effectively portrays van Gogh’s frenetic energy as his creativity explodes and his mental health deteriorates. The dialogue communicates the essential points of van Gogh’s biography and artistic vision without becoming overly expository. I really enjoyed this quick read, and the final panels are particularly beautiful and moving.